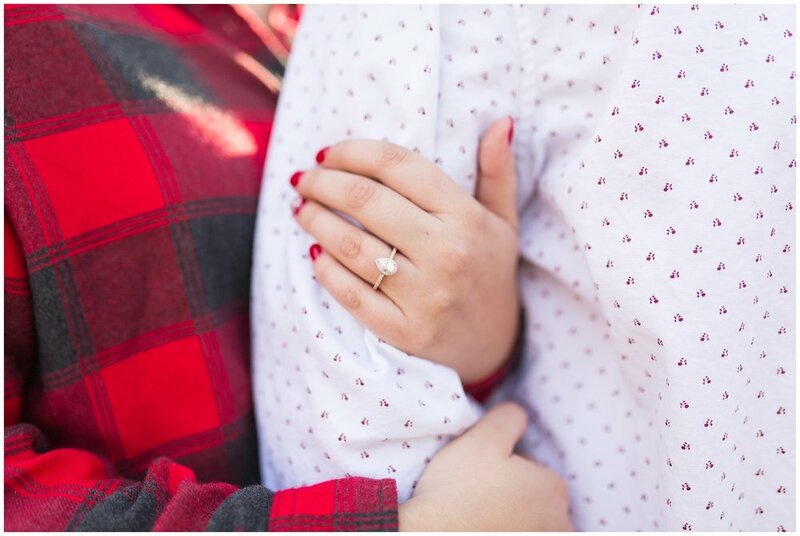 John proposed to Wendy on December 2nd, 2017. After they got back from a dinner date at her favorite restaurant, Wendy was excited to find that John had arranged for both sets of her grandparents and her family to be waiting at home for them. As she was putting up her leftovers, John called for Wendy from the sunroom. When she walked in, he gave her a sweet and thoughtful speech as her whole family was standing behind her. When he was done talking, John got down on one knee and proposed to her! The beautiful ring he chose for her is rose gold with a pear shaped diamond and diamonds down the sides. 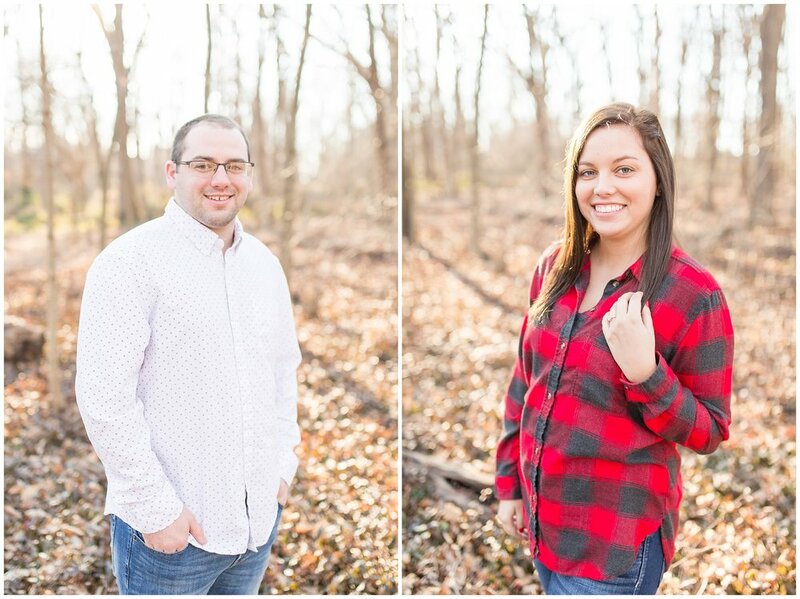 Wendy and John are getting married at Gallrein Farms on July 7th, 2018. 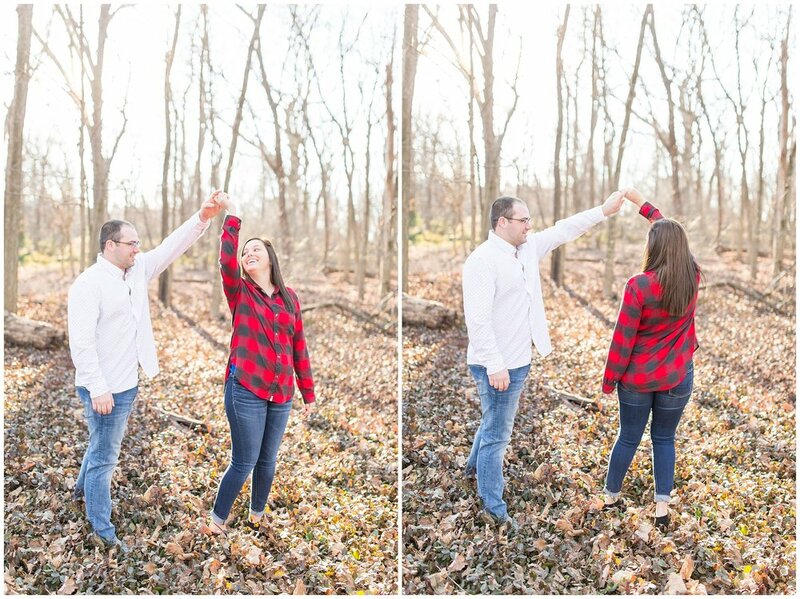 Thank you, as always, for supporting Becky Willard Photography and supporting and loving on my clients! 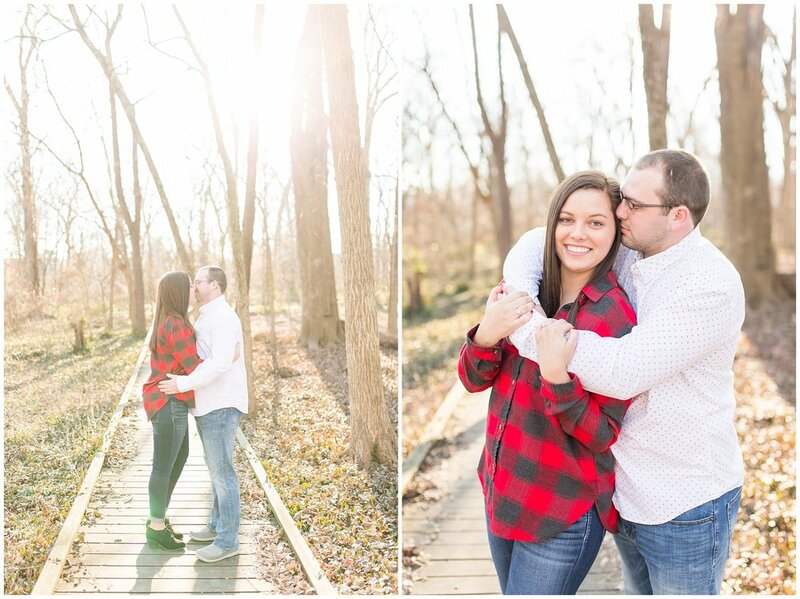 Keep scrolling for some sweet pictures of this couple snuggling and smiling during this beautiful woods session! ~What does a typical/ideal date night look like for the two of you? We love going to see a movie and eating candy while wrapped up in a blanket. ~What is your favorite memory together? Wendy: When John and I first met. he invited me to go fishing with him. We had the best time just laughing and listening to music while fishing. I knew that day that he was something special. John: My favorite memory would have to be when we went to the pinnacles and hiked up a steep and treacherous hill, then up and down the side of the mountain. I was proud of her for not stopping and continuing to push on because it was definitely worth it. I carved our names into the rock at the top of the mountain for the next time we went up there, and surprisingly it was still there. ~What is his/her best quality or personality trait? Wendy: My favorite personality trait is his honesty. John: My favorite personality trait is how much she cares for others and the big heart she has for animals. ~What are some of your dreams and goals as a couple? 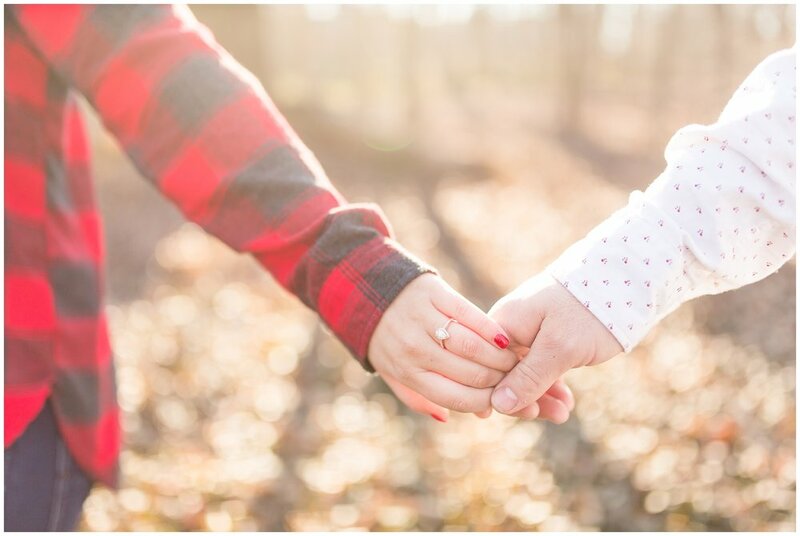 We would like to start trying for kids a couple of years into marriage. We want at least two kids, with a house on some farm land. We can’t wait to go on family vacations and raise our kids up in a Christian home. ~Do you plan to take a honeymoon? If so, where? We are going to St. Lucia and we are so excited!